We provide an affordable alternative to typical well logging techniques without the need for drilling. We use patented technology to determine underground lithology and fluid depths without the need for drilling. This is a huge advantage in oil, gas and water exploration saving 10’s of thousands of dollars on drilling projects. We charge only is $2.50 for foot analysed making our solution one of the most affordable ways to ensure the most production out of your wells. Naturally occurring electric currents within the earth allow us to accurately determine lithology breaks and fluids without drilling. The ability to determine the updip from downdip is often the difference between a gusher, a marginal well or, worst case, a dry hole. Inclusion or absence of hydrocarbons. 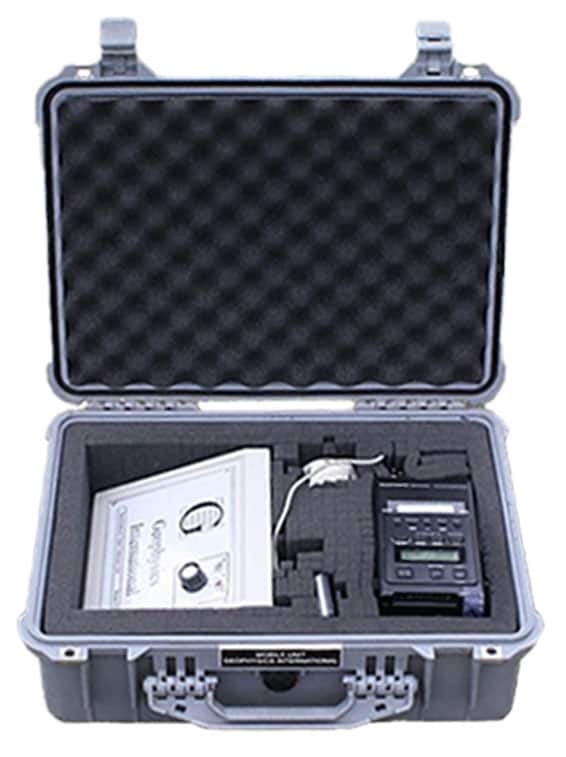 We offer an affordable and simple way to determine underground lithology breaks and to detect fluids. Our quick process involves shipping our Petro Sonde logging device to you, allowing you to take the necessary readings, and then emailing you your results. When you are finished simply return the Petro Sonde to us. Discuss your needs with one of our industry professionals. We can explain specifically how it works and answer any questions you have. Once you determine our solution is a good fit for you, we will ship you the Petro-Sonde. Use the Petro-Sonde on site as you see fit. The device simply sits on the ground and uses naturally occurring currents to determine lithology breaks and fluids. Our team then remotely gives you the results of only the depths you request. This entire process is very affordable in comparison to other alternatives and just as accurate. When you have all of the readings you need, simply return the Petro-Sonde to us. I definitely recommend it to anyone who wants to drill a well. It is especially an incredible value if you are looking at a multiple drill site. We have a 98% success rate when we drill a well on a site located with your technology. In each instance, your equipment accurately indicated the presence of oil and identified with 3′ to 10′ the top and base of the potential pay. These zones are currently plugged off while additional tests are conducted uphole. We found the results of this demonstration to be impressive, and feel that the instrument warrants continued research and development. It appears that the Petro-Sonde has potential to be successful in a variety of applications. I was amazed when your geologist came out and in fact produced an exact replica of the electric log that no one had a copy of besides me. I knew there was no way he could have researched this well. L. H. Meeker, Meeker and Company Inc. I have used the Petro-Sonde / Geophysics International since the early 1980’s with good results. I have found the tool useful particularly in defining the limits of reservoirs in the development of a new discovery. The charts provided by a comprehensive survey of the field area prevented the drilling of several dry holes. John P. Carr, Carr Resources Inc.
We are not endorsing Geophysics International or the Petro-Sonde. With this letter, we are merely stating that we have applied this technology in our oil and gas exploration programs in attempting to resolve subsurface geological problems.